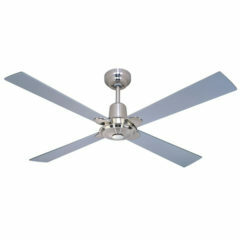 The Alpha ceiling fan series is part of the Four Seasons branch of Martec. 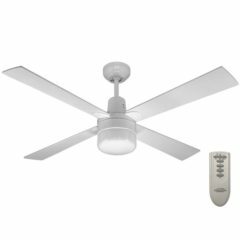 The Alpha with clipper light and remote features a sleek and contemporary design at a budget price. 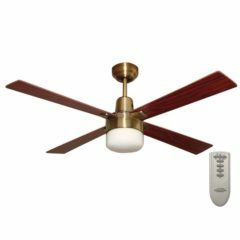 It integrates the latest interior design trends and lighting technology with its slim motor, sleek solid plywood blades, integrated clipper light, infrared remote control and exceptional air movement. This Alpha fan comes complete with a 3 speed infra-red remote control, integrated light and is reversible for summer and winter modes. 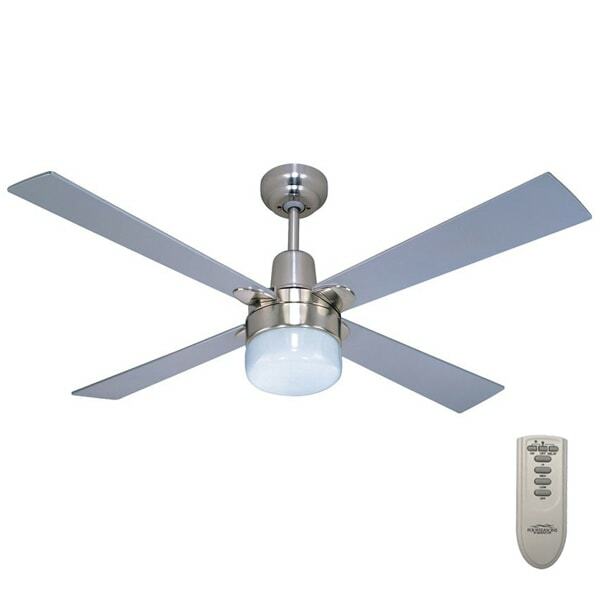 This model comes with a Brushed nickel motor and silver painted timber blades. 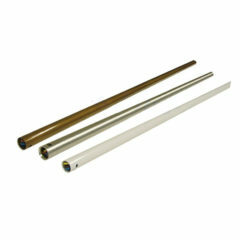 It is available in antique brass, brushed chrome and white as well as without light. 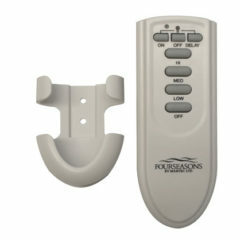 The Martec Four Seasons remote control kit (FSIREM) features a infra red handset with light delay feature and receiver. Suitable for the Primo, Trisera and Alpha ceiling fans. The Martec Four Season’s Alpha ceiling fan in brushed nickel features a slim motor, sleek solid plywood blades and operates with exceptional air movement. 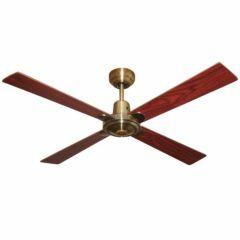 Wall control included. 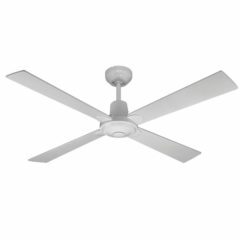 The Martec Four Season’s Alpha ceiling fan in white features a slim motor, sleek solid plywood blades and operates with exceptional air movement. Wall control included. 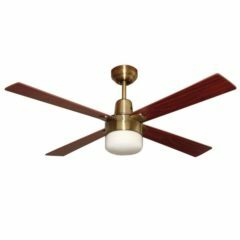 The Martec Four Season's Alpha ceiling fan with light in brushed nickel features a slim motor, sleek solid plywood blades and operates with exceptional air movement. Clipper light included. 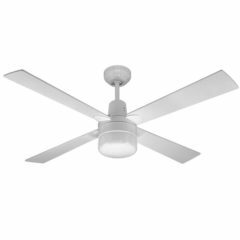 The Martec Four Season’s Alpha ceiling fan with light in white features a slim motor, sleek solid plywood blades and operates with exceptional air movement. Clipper light included.